I am honored to announce that I have won the People's Choice Award in the Olney Arts Council's Fine Art Show this year. This award means a great deal to me because the votes came from the general public who could have cast their vote for any of the wonderful pieces of artwork from all mediums, but they chose my Heart Of An Angel as their favorite. I have never been a big fan of competitions because it is very easy to get wrapped up in the desire to win and become critical of others work when in the end the decision lies in the hands of one individual's or one panel's idea of what is a winning image. That, in my opinion, is not what art is about. I do this because I love creating stunning prints....for myself .....and for my fans and collectors who are moved by my work. So it is very humbling when the people choose my artwork above others. I would like to thank everyone who attended the show in support of the Olney Arts Council and the many talented artists on display. I am also pleased to announce that the winning piece will be on permanent display in the Holiday Hotel and Restaurant in Olney, IL. The owners have been long-time supporters of my work and they are thrilled to add the People's Choice to their collection. They invite everyone to stop by and see the piece often. 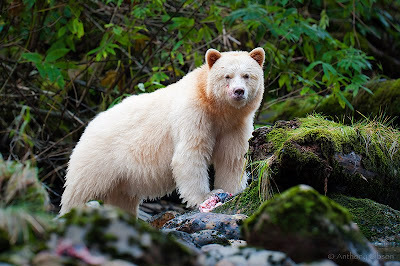 I have returned from my adventure searching for the very rare white Spirit Bear in the Great Bear Rainforest along the Pacific Coast of British Columbia. I returned home to orders collected from the September shows that had to wait until after my trip. Collectors are always excited to receive their new artwork, so I do my best to get them out as quickly as possible. As of today, all orders are completed and my life is beginning to settle down for the moment. If all continues according to plan, I will have time between a few scattered engagements to catch up on many images that people have been excited to finally see. 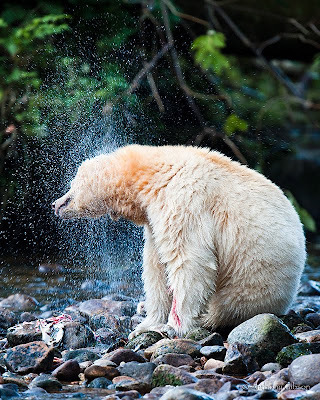 However, for the moment I would like to take the time to share my experience in the Great Bear Rainforest, which was truly one of the greatest Nature experiences I have ever had. 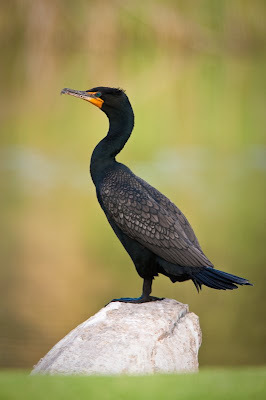 When one starts spending a lot of time observing and photographing wildlife, it is very easy to become accustomed to the excitement and adrenalin of capturing images of wildlife in their natural habitat. In the beginning there is that rush of “I can’t believe I got that close” or “I can’t believe I stumbled upon that.” Over time, one begins learning behavior and therefore adapts to allow for better approaching the subjects which in return allows for consistently better images. 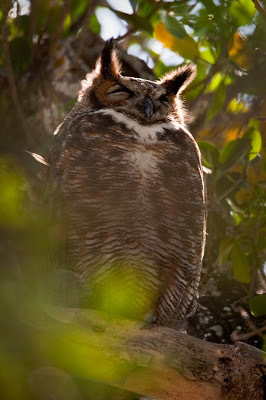 So, even though you are witnessing wonderful natural wildlife behavior, it becomes more difficult to “Wow” one’s self or make some lasting impression that one will always carry with them. 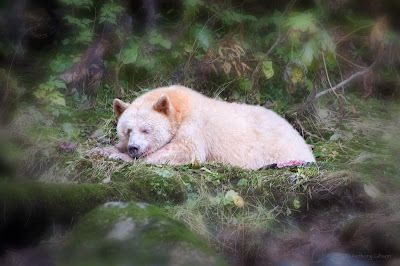 This trip into the Great Bear Rainforest not only “wowed” me, but has given me a much deeper understanding of bears and seeded an even deeper respect for wildlife. 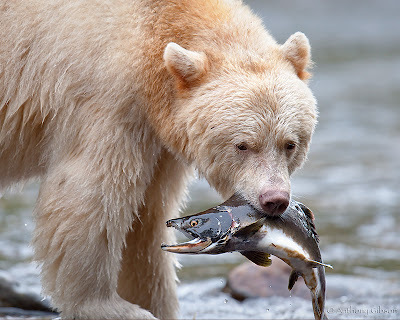 I worked with a very small group of 5 other excellent photographers, and our guide and Captain of the Oceanlight II with more than 30 years experience exploring this region and working with bears. 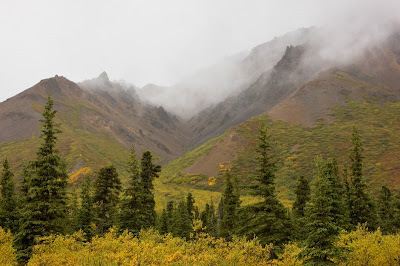 When I decided to go on this trip, it was with the intent of capturing something rarely seen (Spirit Bears), but also having the opportunity to try and capture some nice wildlife art of beloved species like the Grizzly and Black Bears. I had no idea of the proximity I would be to these bears. What was truly amazing, it took several days before I realized it was happening, was that we were not just close to these bears, but we were among them. These animals actually accepted our presence and continued with their behavior as if we were part of their environment. Even though these animals are a very large apex predator, they are easily frightened and avoid danger at all costs. So, they will quickly disappear into the trees if they feel threatened in any way. 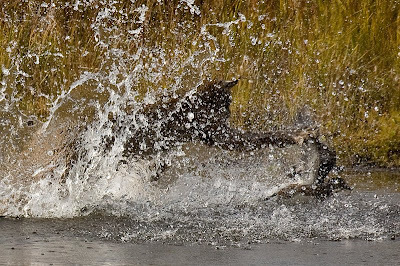 During this time of year they are feeding on Salmon in the many streams and inlets of the region, which means there is no place for us to hide and observe them. We had to stand in the open or work from Zodiacs to be able to photograph them. In that situation, it is up to the bears to approach us which means they have to trust us. These bears would walk by and eventually get closer and closer, but we didn’t realize we had earned their trust until they would actually turn their back to us while being fairly close. While not the most attractive view for a photographer, it was encouraging because we knew eventually they would turn and might approach closer. It wasn’t until the second to last day that I realized that we were actually “among” the bears and not just watching them. 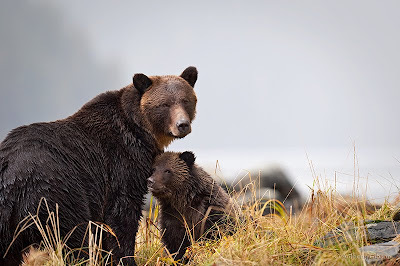 We had the good fortune to find a Mother Grizzly with a first year cub in one of the inlets. 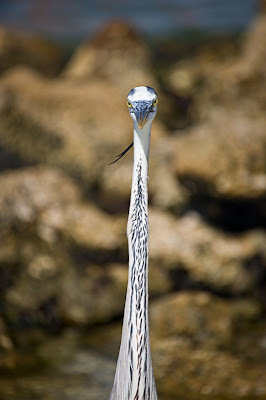 Over a couple of days of working in this inlet, we would see her from a distance constantly keeping an eye on us. She would come in close enough for us to get distant images of her and her cub, but always remained alert and on the move. On our last afternoon, all of a sudden, she decided we were “ok.” Her ears laid back and she brought her cub within fifty feet of us and lazily feed on fish and sat around. The sun came out (it is a RAINforest) to add a little magic to the moment. She had accepted us as part of her environment for the moment. Being among the bears for an extended period of time like this allows one to really get a close look at the behavior and interaction of these animals. You can see the expressions change on their faces, and the emotions and tensions expressed between them. Watching the interaction between not only the bears, but between the bears and us was truly astonishing. The human like emotions displayed between them has made a lasting impression on me that I will never forget, and has changed the way I will view wildlife of any kind in the future. Over the next several weeks I hope to post a large number of images that will portray some of the qualities I have told you about, so maybe you will be fortunate enough to see a glimpse of what I witnessed. More to come, so stay tuned……………………. I have just returned from the Cedarhurst Art Fair at Mt. Vernon, IL. I would like to say thank you to everyone who visited and worked to make that wonderful event possible. Cedarhurst is an amazing facility with dedicated members and volunteers that have created a little jewel in Southern Illinois. Due to my very busy schedule, it is hard for me to do many shows in my local area. I was delighted to have the opportunity to meet both existing and new collectors, some of which drove considerable distances to have a chance to talk with me in person. I am both humbled and honored by all the excitement and sales of my work. It is rare that I get to meet the people investing in my artwork, so it was a real treat to tell them the stories behind the images they were interested in adding to their collections. It has been a very busy spring and summer for Anthony. 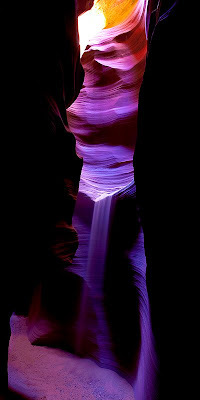 He returned from his trip to the magical Slot Canyons (as you have seen below) at the end of May and has been busy working through all his images from the trip. Anthony is also very pleased to announce that his work will now be represented by Dan Krasemann of DRK Photo. Mr. Krasemann has represented some of the best images from a select group of the world's finest Nature Photographers for the last 30 years. Anthony is both excited and honored for this new partnership with DRK Photo. They will now handle most of the worldwide marketing for the publishing and stock licensing of all Anthony's work. This will free up more of Anthony's time to devote to being in the field creating new images and artwork for his collectors, which is his true passion. The last couple of months have been consumed with this new addition to Anthony's photography, as well as several other exciting new facets yet to be announced. Things are moving quickly for him, so stay tuned for several other announcements in the near future! As always, Anthony thanks everyone for their continued support. 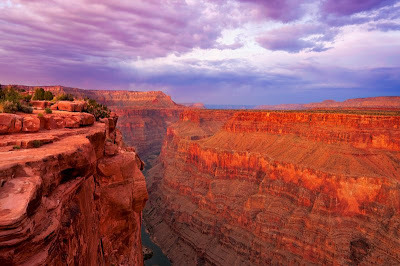 The above image was taken from the infamous Toroweap Point of the Grand Canyon. It is located in a very remote section on the North Rim of the Grand Canyon that took 4 hours, 2 blown tires, and lots of swearing up a rough 4x4 mountain trail just to reach this majestic view. This is one of the only views of the Grand Canyon where one can stand alone on the edge and look 4000 feet straight down with no fences, no crowds, and no structures anywhere in sight. 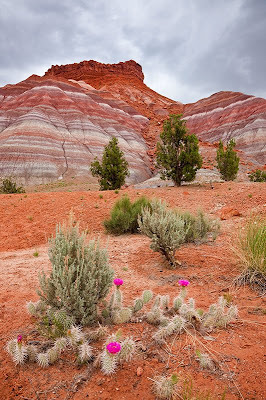 Below are a few images from the area surrounding Page, Arizona where I stayed while photographing the Slot Canyons. The desert Southwest contains such simplistic beauty when one takes the time to venture into the emptiness and look around. 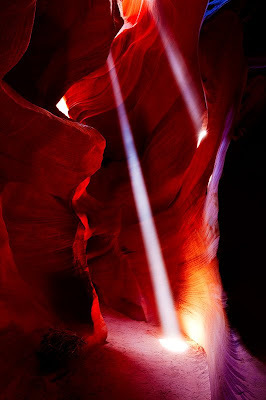 Photographing Slot Canyons is a magical study of reflected light, patterns, lines, and emotions. 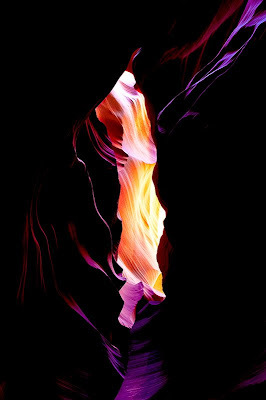 In order to capture the rainbow of colors lurking in the dark of these canyons, one must learn to not trust what our brains and eyes are telling us. The human brain is sometimes too smart, and can distort what is actually there. 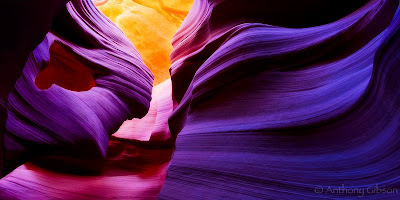 Our brains know what color sandstone is suppose to be and therefore will have our eyes compensate to see what it thinks we should be seeing. So, in these caves our eyes see shades of tan, pinks, and greys. A camera, however, captures what is actually there. Certain caves that are deep enough and narrow enough will come alive at certain times of day when the sun and sky are just right. You see, as the sunlight penetrates into the caves it bounces back and forth on the walls. 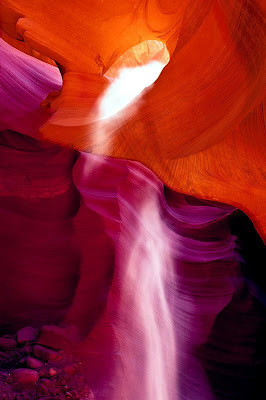 As it bounces, it picks up the colors present in the rocks. The more light that is reflected, the more color that is picked up. Where the rocks have a clear view of the sky above, it will pick up the cool blue color of the sky and reflect it as well. One must look at the way the light is reflecting on the walls and ignore the eyes. Once you can see past the dull colors, the wonders of the patterns and lines present themselves. 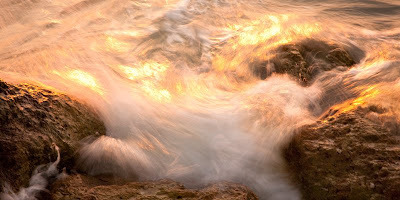 Then all you have to do is set the camera for a long exposure and let the colors soak onto the sensor. I hope you enjoy these first selections from the canyons. 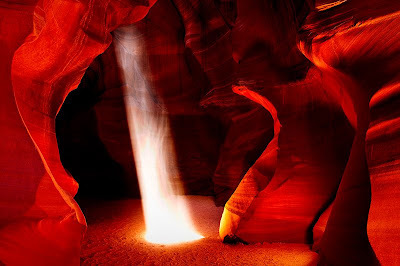 Several are from the famous Upper and Lower Antelope Canyons, but a few are from little known canyons that required hiking with guides and rock climbing in a Hummer. 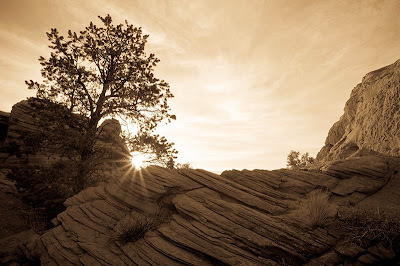 I will post more images from the canyons and the surrounding areas in the weeks to come. I have just returned from my trek into the Slot Canyons of Southern Utah and Northern Arizona. These are truly magical places when one ventures into them during the right time of day at a certain time of year, just before the summer solstice. 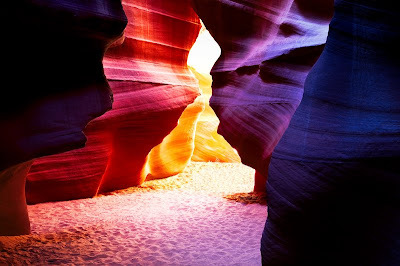 During this time the angle of the sun is at just the right angle for beams of light to penetrate the narrow openings in the top of these caverns causing intense colors to bounce off the sandstone walls. 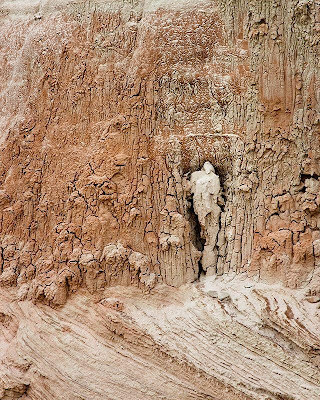 The Navajo people have regarded these special canyons as sacred places for centuries, and I believe this image demonstrates the mysterious wonders that are contained within them. Do you see her appearing in the light? "Soul" encompasses the very essence of the type of imagery I hoped to capture on this trip, and is the first in a series of captivating images from this very special area of the United States. As I work through more of the images from the trip, I will post more images with discussions on why the colors appear so strong and varied as well as some of the features that are important to the Navajo people. 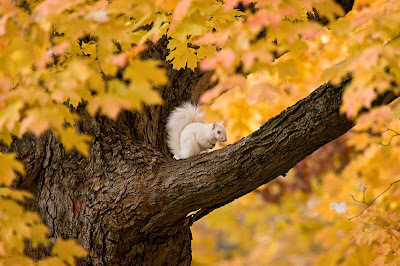 I am pleased to announce that his image "White In Yellow" received the editors weekly pick in the Fauna category on Nature Photographer's Online Magazine. This site has close to 100,000 contributing members and over a 1,000,000 hits per month. Thousands of photographers submit images every week to these forums for review and comment from other photographers. I am humbled by his selection when there are so many stunning images to choose from everyday on this site. Details can be found of the selection can be found in the Nature Photographer's Forums. I thought it was appropriate for the first post of this new blog to be what have become my signature images. 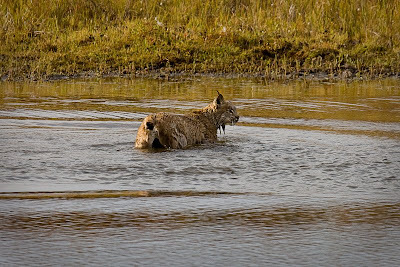 Say hello to one of Nature's most elusive cats, the Lynx. Many wildlife photographers go their entire careers without ever seeing one of these rare animals due to their small size and natural shyness. 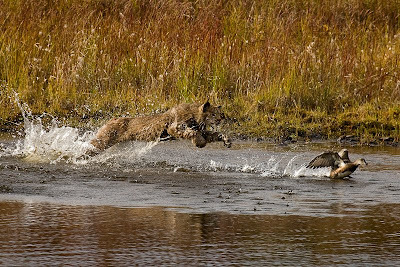 Just about every photo of a lynx has been taken in a captive setting or on a game farm. 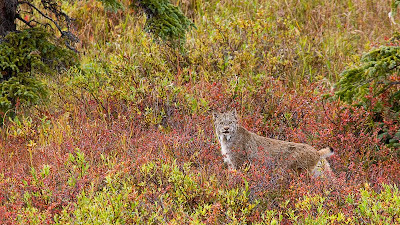 I had the good fortune to catch site of this wild lynx while shooting in Denali National Park, Alaska with Jim Brandenburg. 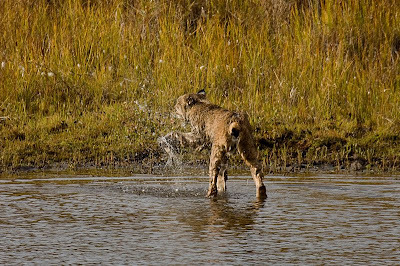 We observed this lynx for a few hours stalking birds and ducks around this small pond. After loosing sight of it for quite some time, we decided to change positions and focus on these ducks you see below with the hope that it was headed for them. 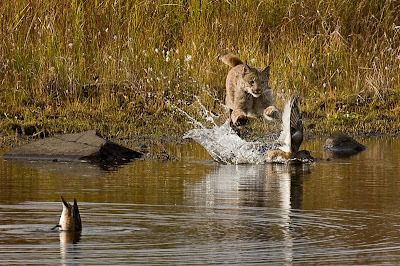 Just a split second after setting up and focusing on the ducks came this amazing predation scene. The following sequence of images was my reward.